B.I.R.D. 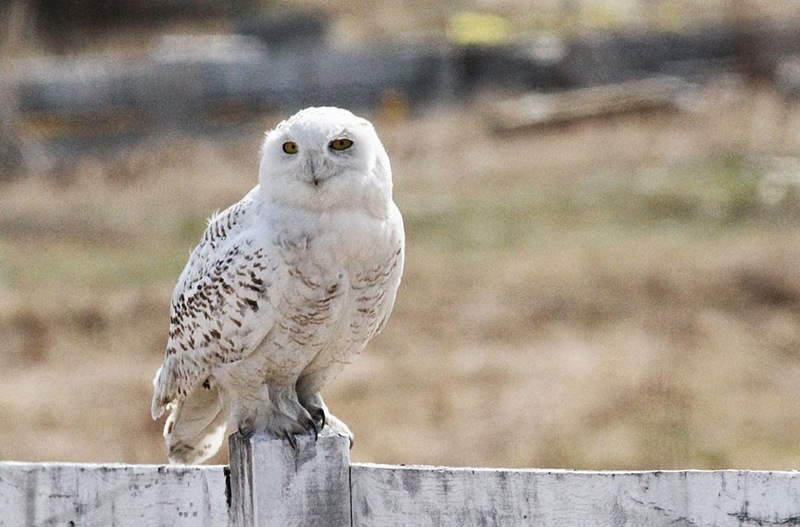 : Snowy Owl in April! 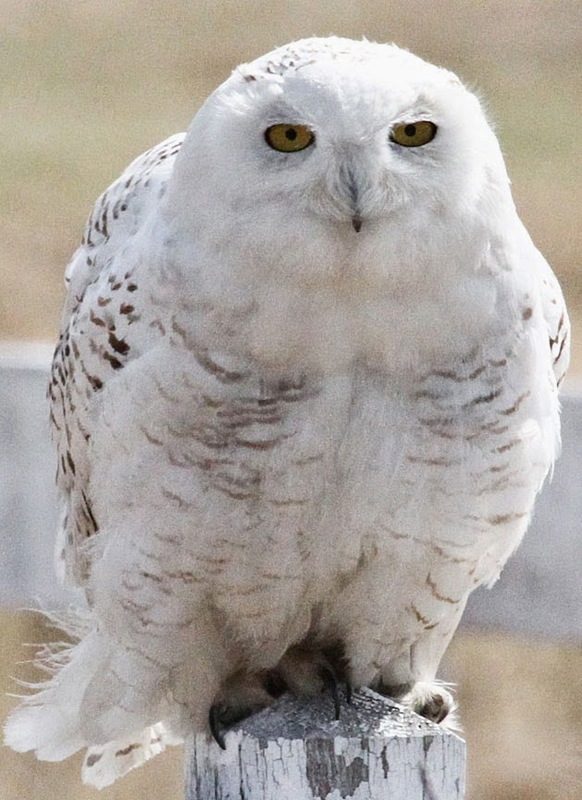 There was a report of a snowy owl in North Springfield, Vermont yesterday, not too far from home. 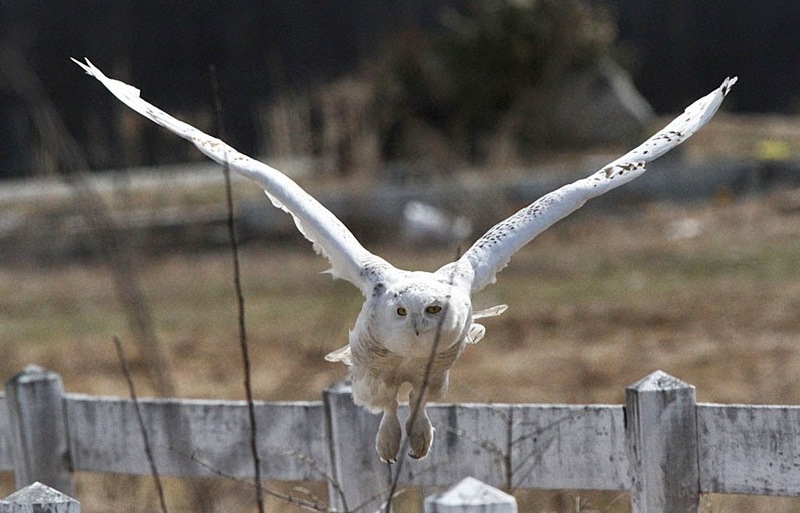 We found it quite easily at the corner of route 106 and route 10, perched on a white fence, exactly where it had been reported!. Sitting not more than 40 feet from the busy intersection, the owl seemed pretty relaxed and not affected by the noise of the traffic. We didn't even get out of the car, certainly didn't want to spook it. 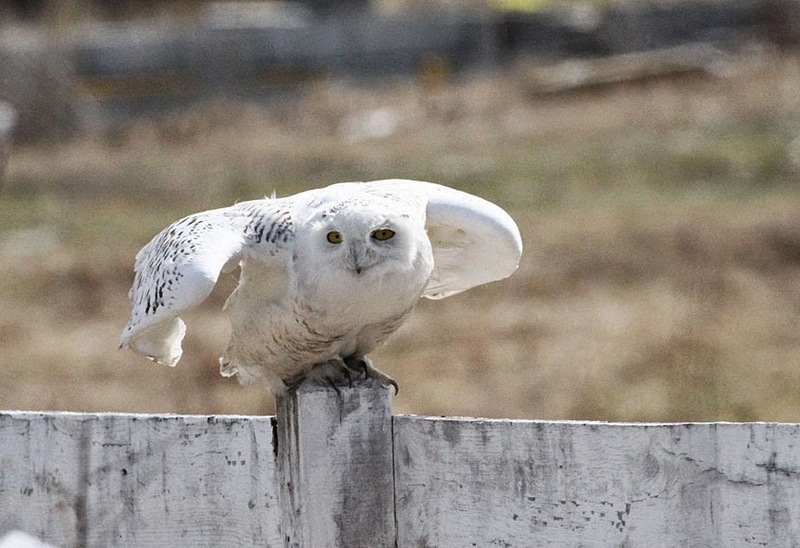 The owl sat on the post for a while, then flew even closer to us! Gerry just held his finger on the shutter. The camera has a "burst" mode and takes 8 frames per second! 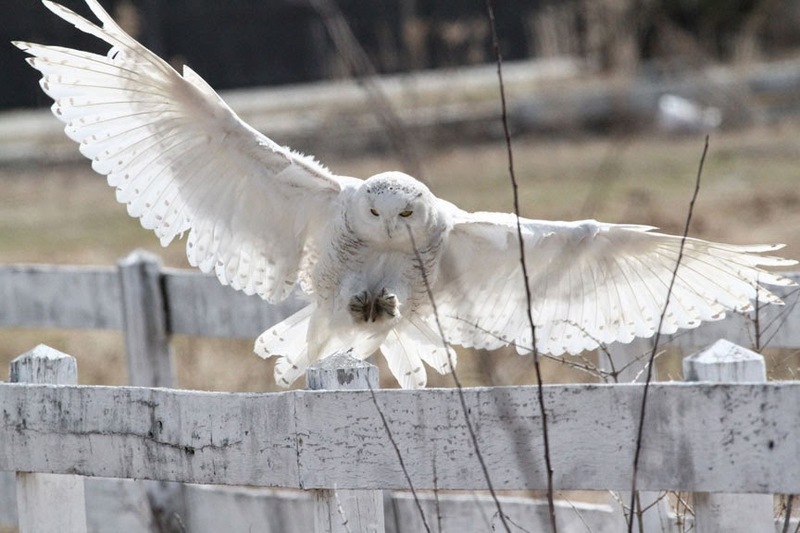 A snowy's wingspan is between 4.2 and 4.8 feet. 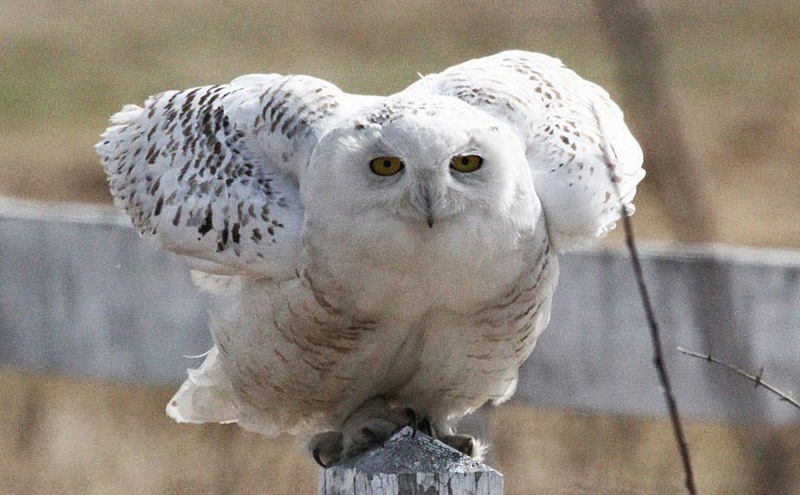 It's usually a rare site to see a snowy owl, but this winter and spring, these beautiful birds of the Arctic tundra are still around! Sure is Beautiful! So Happy we have you folks to show us the Beauty of Mother Earth and Her Blessings! Thank You so much! :-) Have a Beautiful Day! I was over there last week taking pics also. 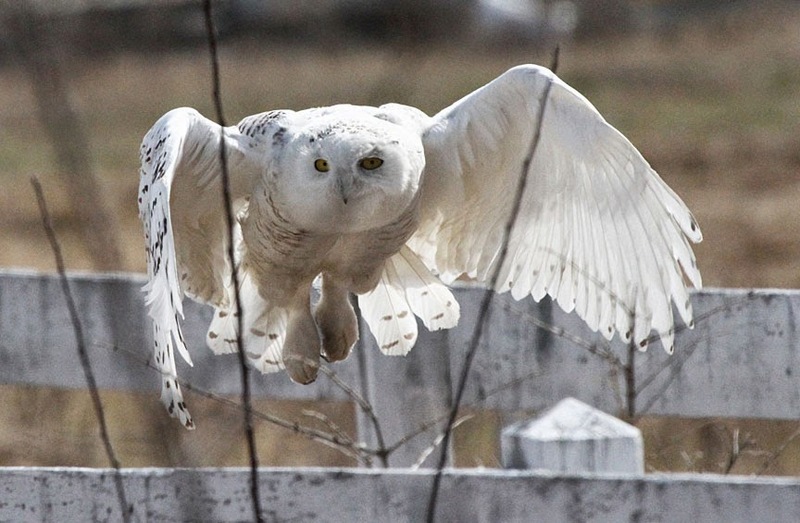 Very beautiful and majestic.